We hope you will share what you’ve learned about the Comp Plan Update with other Mason County citizens. Here are four simple FREE ways to help make a difference for the future of Mason County. 1. REVIEW THE POLICY CROSSWALK in the top menu. This document was prepared by County staff to track changes made to the legacy Comp Plan. Note that 77% of the existing policies are proposed to be removed, even though citizens have had no say in these sweeping changes. 2. TALK TO YOUR FRIENDS AND FAMILY. Let them know you support development but are concerned that citizens have not had a voice in the sweeping changes proposed for the Comp Plan. 3. 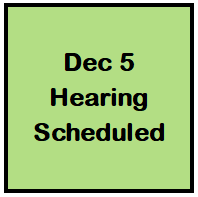 PLAN TO ATTEND THE HEARING ON DECEMBER 5, 2017, at 9:00 am in the Commissioners Chambers in Shelton. Speak at the meeting or submit written comments. 2. SHARE THIS WEBSITE LINK ON SOCIAL MEDIA. Thank you! Your actions will make a difference! Copyright © 2019 Mason County Focus – Comp Plan Update. All Rights Reserved.